John Buscema: Giant Artist, Giant Heart	We’re Having a Party . . .
Who Killed the Burma-Shave Poet? 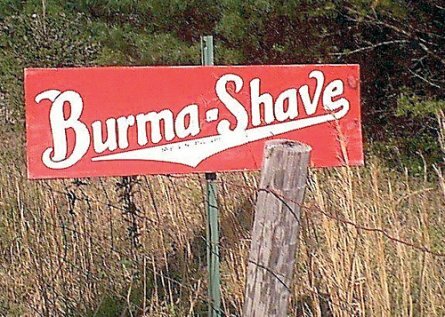 Actually, Burma-Shave brushless shaving cream, sold in tubes or jars, died from the growing popularity of shaving cream packaged in aerosol cans, and their advertising signs were killed by the growth of the U.S. interstate highway system. Drivers were moving too fast after that to read the Burma-Shave signs. But, as a marketing guy, I have to admire the spirit and fun of the Burma-Shave signs, which were sequential red-and-white signs along the sides of roads during the period from 1925-1963. They were usually a comic verse, and during the time they were used, they were the most effective marketing device known. 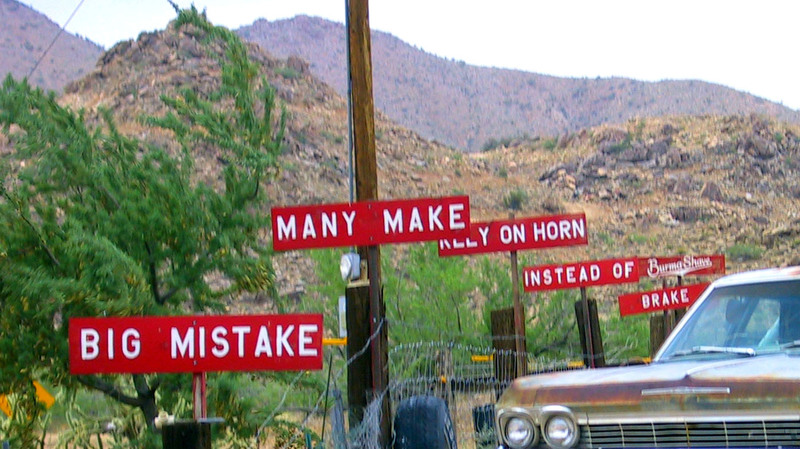 Here are some examples of the more than 600 verses used to sell Burma-Shave. You can find plenty more on the Web. Many signs cautioned drivers to drive safely. Why were these signs and slogans so effective? They were funny; people slowed down to read them. Folks talked about them and remembered new ones they’d read or old favorites. A very effective job of advertising! They made consumers feel like friends.